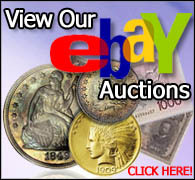 Newly Listed Items - Professional Dealers of Coins, Bank Notes and Bullion. Serial #000199. Watch is in excellent condition.